Understanding your audience’s needs and preferences is one of the best ways to succeed in any business. However, part of knowing your audience is having the ability to know the right time to interact with them. 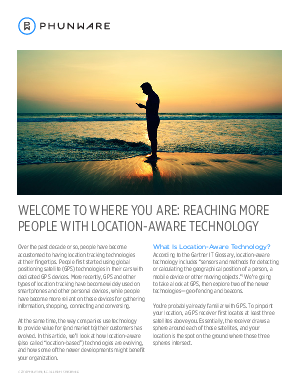 Download this guide to learn more about reaching your audience with location-based technology and see how this can help you to create content and messaging that are relevant in time, location and experience.